After I wrote how you could “Kiss your way to success”, many people asked me why I rated skill so high? And how could one develop specific skills. First of all, I think skill is very important because that is what you are paid for, really. You skill is the value you bring to the table. For instance, you may read a lot about swimming and gain decent knowledge about its science and techniques. 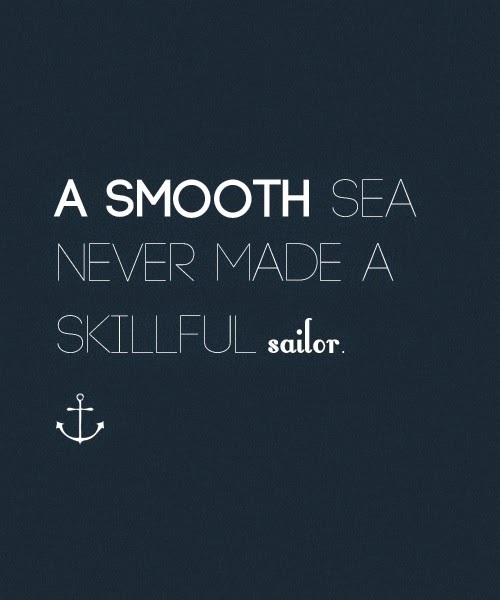 But, unless you can actually swim very well, you won't have much luck in deep waters. Similarly, not all the knowledge of painting will help you sell your art. You should be able to paint a mean canvas before someone pays for it to hang on their wall with pride. Even if you think that mere knowledge will make you valuable as a teacher, think again. Teaching to a class, however large or small, is a skill in itself- just ask any teacher. Be as clear, precise and sure about this as possible. Ask your colleagues, ask your boss. Observe the most successful people around you and try to figure out what skills make them so valuable. And don't just have a laundry list. Have a prioritized list. Observe that we are not asking "which ones am I good at", but "which ones can I become better at". It is important to have such forward looking, dynamic outlook on skills rather than just a static assessment of your present state. I suggest you pick just top three skills, so you remain focused and have a good shot at success. Once you answer this, prepare an action plan and this is where the WISE scale would help. The bad news about skill development is that is a lot of hard work, but the good news is that it can be done. It requires a generous dose of dedication and a good deal of tenacity. Remember the 10,000 hour rule (Google it, if you haven’t heard of it)? Its numerical accuracy notwithstanding, it just means that you do something again and again, getting slightly better with each iteration, before you become demonstrably good at it. It is all about deliberate practice, and not mindless repetition. But, wait. What is this WISE scale? 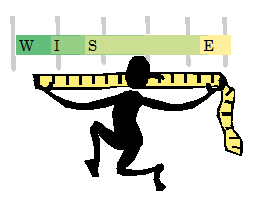 The E on WISE is the bottom-most level of the scale, and stands for “Exposure”. If you have only been exposed to a certain skill, and can do nothing more than extremely basic stuff, then you are at this level. Perhaps you are an accomplished C++ programmer, but can manage nothing more than a “Hello World” program in the Java language. In other words, you are not ignorant about it but can’t do anything useful (yet). This is when you consider yourself as an “E” in the skill. The S on the WISE scale stands for “Significant”. This is when you have moved beyond mere exposure to a skill, and can now perform acts of significance. And you do things well. Coming back to our programming example, you have practiced Java enough to be able to write programs as specified by your manager or client. If singing is a skill you are after, you can now hit the right notes and manage transitions enough to be able to sing most songs- you can even be quite popular. This is also the “fattest” portion of the scale, and most people spend most of their lives at this level without making the extra effort to go the next one. At this stage, you are useful, impactful even, and can remain happily employed. But you risk stagnation in your career if you stay here too long. You either move to the next level, or if you think the next level is not your cup of tea, you move over to a new skill where you think you can hit that level. The I on the WISE scale is for “Insightful”. You have developed beyond significance in terms of value in your skill, and can now offer insights to others. Also, you not only do things well, you do things right. As a Java programmer, you can now take one look at your colleague’s code and tell him where it will fail. As a singer, you can give your own special touch to the songs, by adding variations and intonations bringing out the emotions that touch your listeners’ heart. A good indicator of this level is that others around you see you as an expert, and turn to you for advice or feedback. Again and again. The pinnacle of this scale is W, which stands for “Wisdom”. You are not only insightful, but you see farther than most. You not only know how to do things well, and how to do things right, but also understand the context, options and opportunities around you. So, you are not just deeply skillful, you are building breadth in your skill by expanding yourself into related fields. At this stage, you either make or influence key decisions, and your opinions are extremely valuable- you now wield power. As a master salesman, you not only can close difficult deals but also help others with your experience. As a Java guru…nah, you are now a solution architect… you know precisely how to put together a complex enterprise system using frameworks and technologies that go beyond Java as a programming language. As a singer, you can read the composer’s mind and appreciate his choice of chords and scale, so you can do full justice to the song. Stack up the to-dos and you should have a decent action plan to start with. Refine it. Reflect on it. Build on it. And because it is an action plan, add details like more granular tasks, target dates etc., and act upon it. Stay committed to it. Put it somewhere you can see all the time. Team up with someone so you can push each other. Do everything it takes to ensure that you stay true to the plan. Remember what it takes to develop a skill- dedication and tenacity. Love ur wise scale. Which book is it from? It is from a book not yet written, my friend. It is a simple concept I thought of to help someone I know.